Cheers to another amazing weekend in San Diego. Enjoy everything California’s Beach City has to offer including Halloween Parties, Día de los Muertos, San Diego Beer Week, Guild Fest, and these top things to do. Join us for a happy celebration full of mariachi music, dancing, and festive entertainment at the San Diego Zoo Safari Park. Shopping, face painting, and, of course, plenty of amazing animals add to this family fun-filled event. Children 11 years old and younger are free when accompanied by an adult. The California’s American Indian & Indigenous Film Festival will highlight current films from American Indian filmmakers, producers, directors, and actors. Lace up your skates and take in the holiday splendor as you relive a cherished piece of your childhood or take your very first spin at the Viejas Ice Rink! 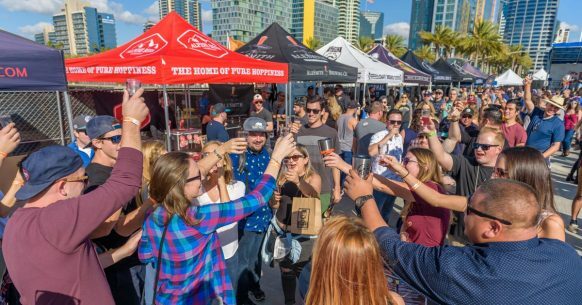 The official kick-off party to San Diego Beer Week, Guild Fest will showcase new, exciting features, including delicious craft beer from San Diego and beyond, a pre-party harbor cruise, and more! The Escondido Tamale Festival is a celebration of Tamales and all the great Latin foods that have become iconic staples of California’s culture. It’s a look back at the history of the Spanish and Mexican settlers who have influenced and contributed so much to our multicultural community, and a show of appreciation for the traditions which have so positively affected Escondido. Fallback Festival presented by G.Q.H.F. Perfect event for children and families! Kids will experience a cross-section of what life was like before the age of television, computers and cell phones. This entry was posted in San Diego Events, Top Things to Do and tagged beer week, county, entertainment by Brent Bernasconi. Bookmark the permalink.